The Wilsons of Topsham, Maine and all (I mean all) of their descendants. In December of 2013, I started a journey, not a genealogy project. Over the next 6 months or so, I spent hundreds of hours tracing and documenting my father’s family on Ancestry.com. The result was a family tree of over 20,000, one book written and one more now in writing and planning, and whole new career goal. I am a web designer and developer but first and foremost, I am a writer. One of great things about writing is that the pulling together of all the elements to make a cogent essay, book, treatise, etc., is just the most satisfying work I’ve ever done. My web work does not allow me the scope of writing that I prefer and genealogy does! So I decided to use those hours of research to dive back into writing again. 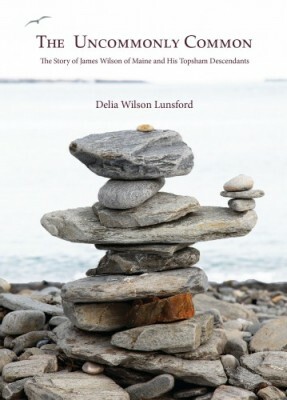 There is a Wilson genealogy book now available through any bookstore, an Alexander book now being written and a fiction book based on one Wilson descendant in the planning stages. More info on The Uncommonly Common is available here. A digital version is now on the site for sale as well; it contains updates and corrections from after the printed version. Contact me if you are a Wilson descendant and interested in this project. Sign up for the Wilson family news here: http://eepurl.com/c7qSkr I’m sending out messages only a couple of times a year, mainly about reunions in Maine. The tree is on ancestry.com if you have an account there. I keep that one updated. This site also has the tree on it but may not be the most recent version. Chapter One, What’s in a Name?